This 8-part (4 DVD set) series is a National Science Foundation/PBS production that is the most taxonomic of any presentation I’ve seen. 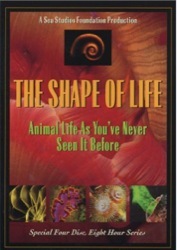 The Shape of Life addresses the 8 major categories of animal life — phylum by phylum. 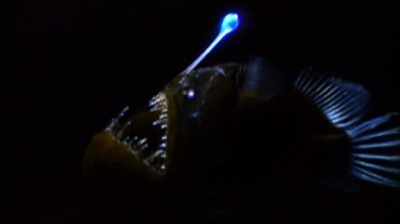 Starts with sponges, heads toward round worms, and so on. 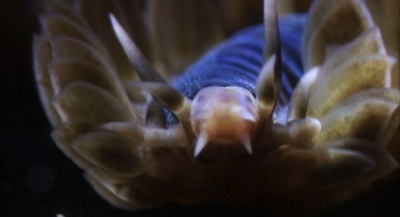 You get the full diverse view of life — all intelligently organized around a taxonomic framework (without the vocabulary), and expertly illustrated with great (mostly undersea) BBC-type footage. 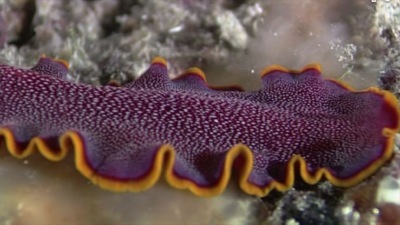 Despite the wonderful nature photography, the creators work really hard to convey the innovations offered by each phylum, and it works. This series cured me of a rather vague notion of animal diversity, despite my work at All Species. I’d love to ingest the same mind-opening treatment for the plant world, as well as the other 3 kingdoms.